A nice tour of festivals for us. 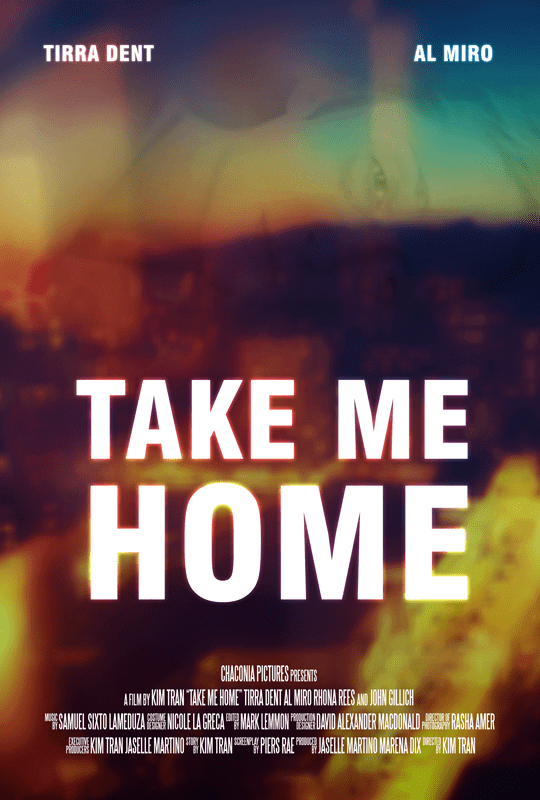 After a couple of years of jetting around to film festivals in Canada, America, and France, “Take Me Home” is finally getting it’s long-awaited public release. I’m thrilled to be able to share this project, which I wrote for director Kim Tran, with the world. It’s a touching piece and the second installment in Kim’s trilogy of dreams, the first of which (“Soon Enough“) I also wrote with Kim. It’s wonderful to see a piece of work get a little recognition like this one has, it’s both rewarding and reassuring at the same time. It’s also rare that one is given the opportunity to work with so many talented people on a single project, and I would like to both publicize the film’s release here, and give a shout out to our amazing cast and crew. The first, pre-festivals cover for “Take Me Home”. To begin, here’s a note from director Kim Tran on the day of the film’s release. Today we have a BIG ANNOUNCEMENT, we are officially releasing “Take Me Home”! We would like to take this opportunity to thank everybody involved in the making of the movie: our crazy talented cast, Tirra, Rhona Rees, Al Miro and Johnny, our dedicated team, our friends and family… And of course YOU, who supported the movie! THANK YOU! TAKE ME HOME (2014) from Kim Tran on Vimeo. Thank you all for watching and sharing our hard work. It’s support like yours that keeps independent film alive. Did you enjoy the film? Drop a like over on Take Me Home’s Facebook Page, or visit director Kim’s official site.